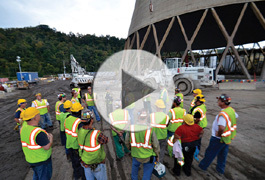 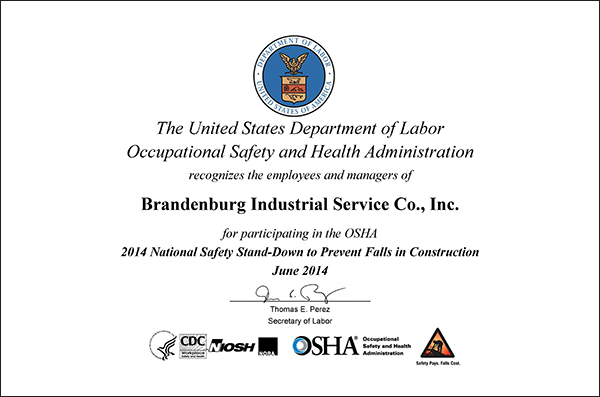 Brandenburg maintains a staff of safety professionals with backgrounds in civil engineering, industrial hygiene, mining, manufacturing, pharmaceutical, chemical, refinery, and power generation. 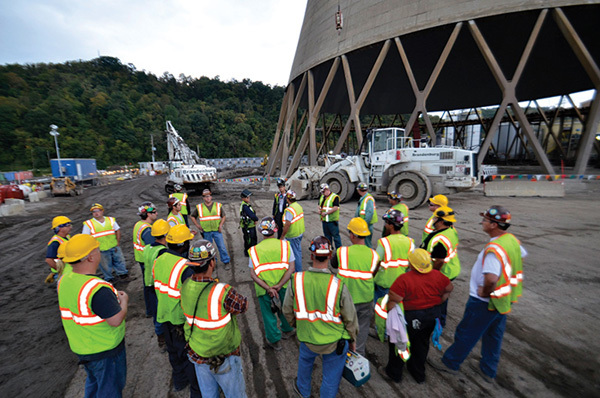 Our staff includes a Certified Industrial Hygienist (CIH), Certified Safety Professionals (CSP), Graduate Safety Practitioners (GSP), Certified Health & Safety Technicians (CHST), Safety Trained Supervisor (STS), Certified Environmental, Safety & Health Trainer (CET), American Heart Association (AHA) Instructors, Special Government Employees (SGE), OSHA Construction Outreach Trainers, and former OSHA Compliance Officers. 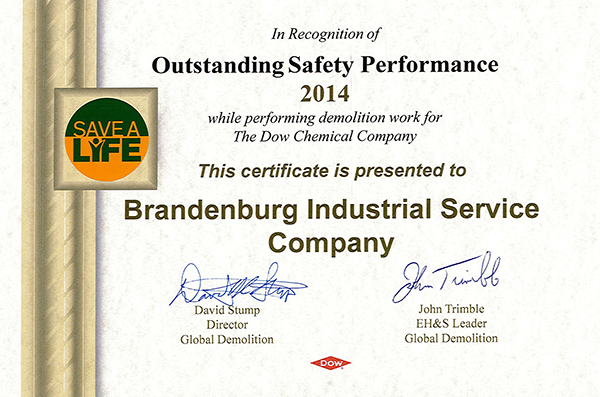 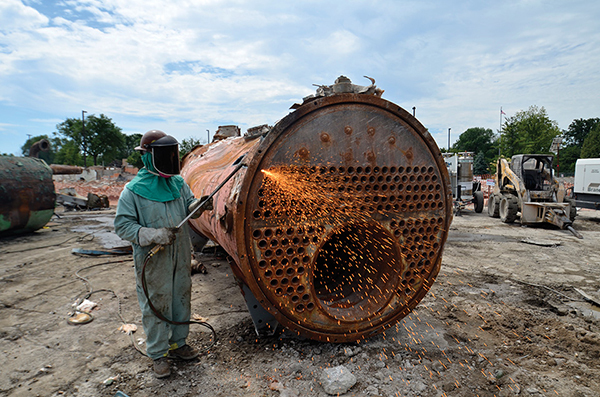 Brandenburg personnel actively participate in the National Demolition Association’s (NDA). 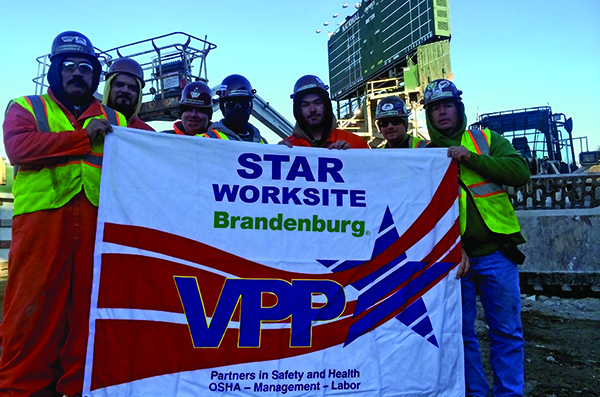 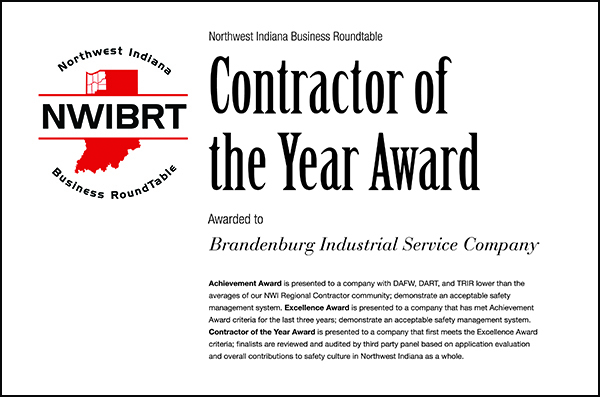 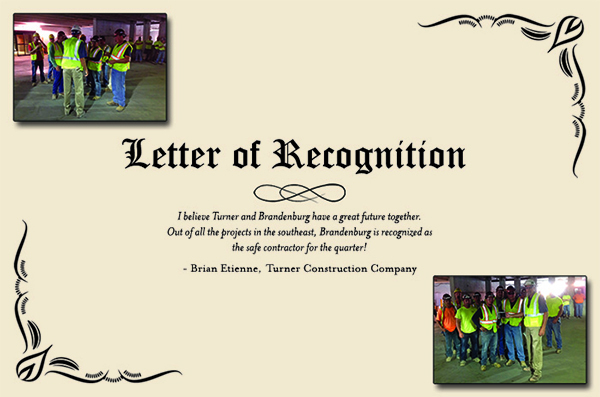 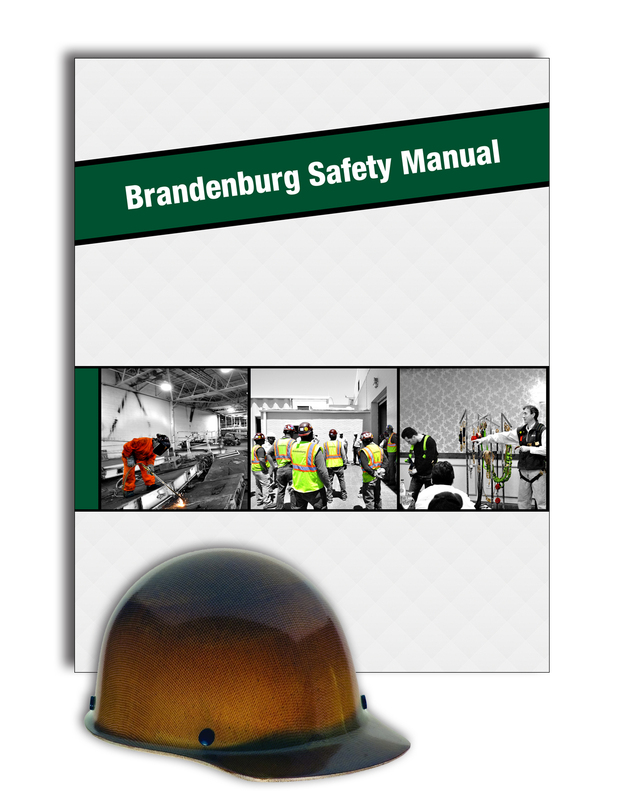 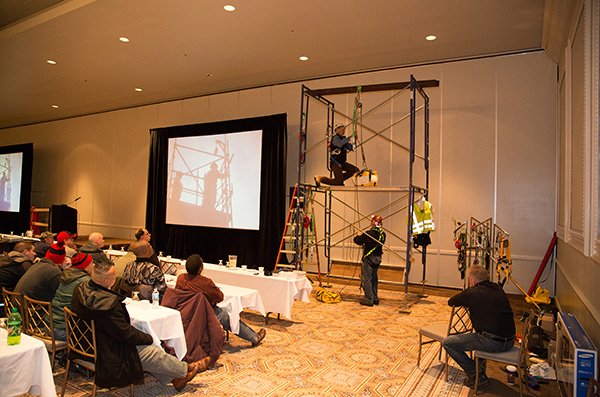 Brandenburg promotes safe work practices through the use of a behavior-based safety program, intensive and continual worker training, and strict enforcement of the written safety program. 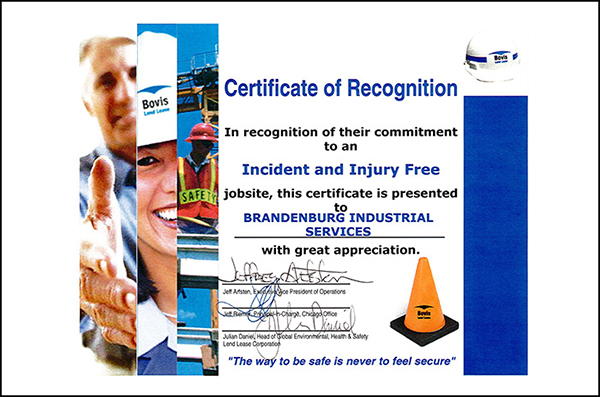 Our safety efforts have been recognized by many of our customers including Dow Chemical, Gilbane, Turner Construction, and BP.